"Big brands like Unilever and Natura use our services to improve their logistics, and we have customers in more than 13 countries." For companies, every minute and every second counts for the efficiency and effectiveness of their production. The Chilean company SimpliRoute was born to contribute to this objective, which supports companies in their last mile logistics processes thanks to their planning and tracking platform of dispatch routes. It is a web platform for tracking and optimizing routes that allows customers to plan their transport or dispatch routes efficiently, considering restrictions of schedule, load, fleet, among other aspects. It also allows monitoring in real time the location of each vehicle, and review in real time what happens with each delivery, to notify the customer in a timely manner if your order is on the way, was delivered or rejected. 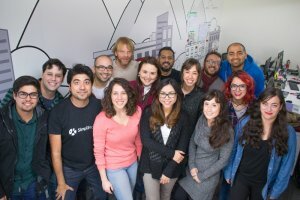 At SimpliRoute they focus their work on small and medium-sized companies that distribute products to third parties, or that provide services in the field. “We focus our marketing efforts in Chile and Brazil, but as our software is available in the cloud for any company to request a demo and pay online, we can provide services to anyone from any country that is interested in the software. Thus, we have clients in 13 countries, including Peru, Colombia, Argentina, Bolivia, Uruguay, Brazil, Ecuador, Mexico, Panama, Australia, United Kingdom, Spain and Nicaragua, “says Alonso Olate, Marketing Manager at SimpliRoute. In November 2017, they participated in the marketing mission of the Smart Mobility World Congress in Barcelona, Spain, and in June 2018 they were present at Lab4 + in Medellín, Colombia. Thanks to the advances that have been made in the country, the company executive believes that the Chilean entrepreneurial ecosystem is highly developed, since in recent years there have been important efforts in attracting international talent, as well as boosting national talent to through public and private venture capital funds. “Because of this, Chile is generating many interesting startups that are solving global problems through innovation and technology,” adds Alonso Olate, of SimpliRoute. "Being a highly digitalized country, with a digitalized State, the public services are more efficient and transparent, which promotes international commerce"
"Chile stands out due to its technical profile in IT areas"
"The Swedish multinational Volvo has used the solutions of our TCIT company to execute and coordinate their Test Drives, and we have also achieved strategic alliances with Google to market their products."